After losing the America's Cup earlier this year, Larry Ellison beat the America's Cup winner Alinghi in the Moet Cup challenge series in the bay. 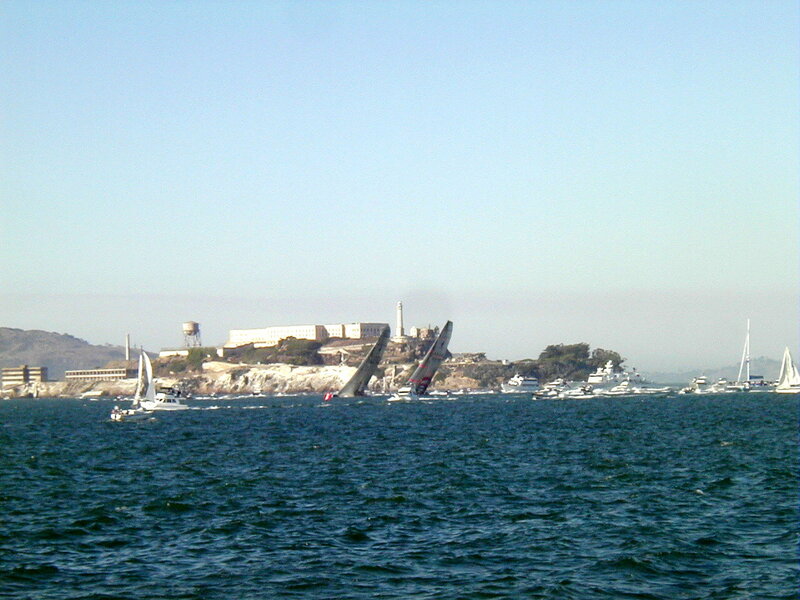 Should the America's Cup ever come to San Francisco, this race series showed both promise and the peril of holding the race in the Bay. 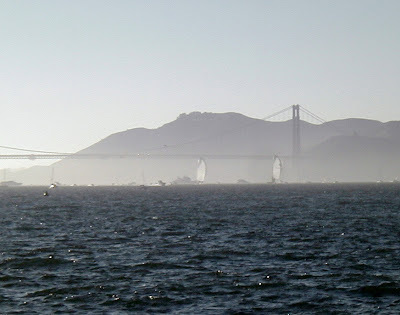 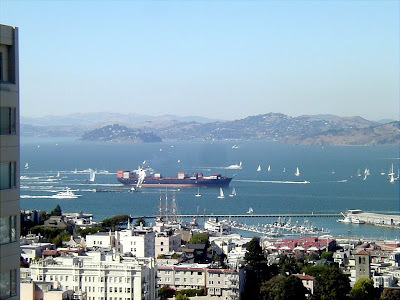 "The hour long racecourse, which begins near Treasure Island, will bring the 80-foot boats within spitting distance of the San Francisco waterfront. 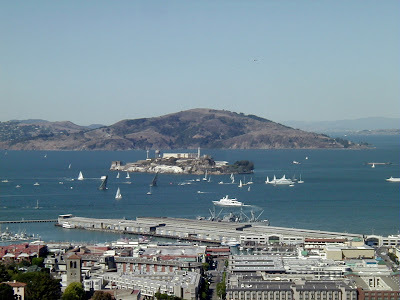 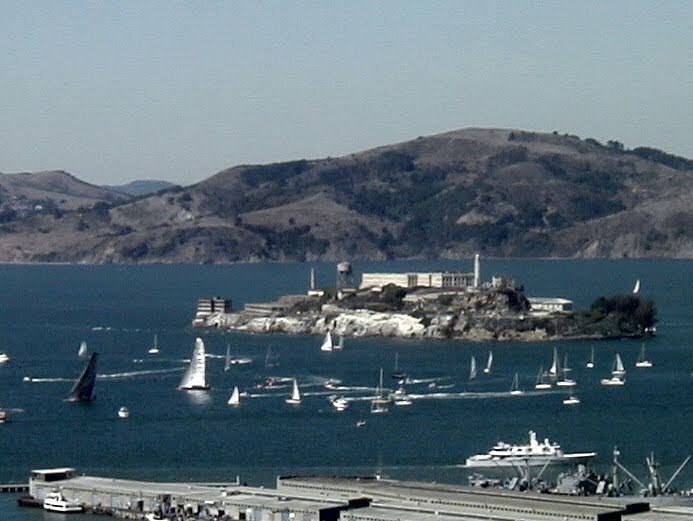 The boats will tack along the city front between Fisherman's Wharf and Crissy Field, before rounding a buoy near the Golden Gate Bridge and running downwind, then heading upwind again toward the finish line next to Marina Green." We have a great view of the race from our terrace on Russian Hill. This series of shots from the terrace showed the kind of visibility the venue would offer the race, which is usually held on an ocean track far from the view of landlubbers. 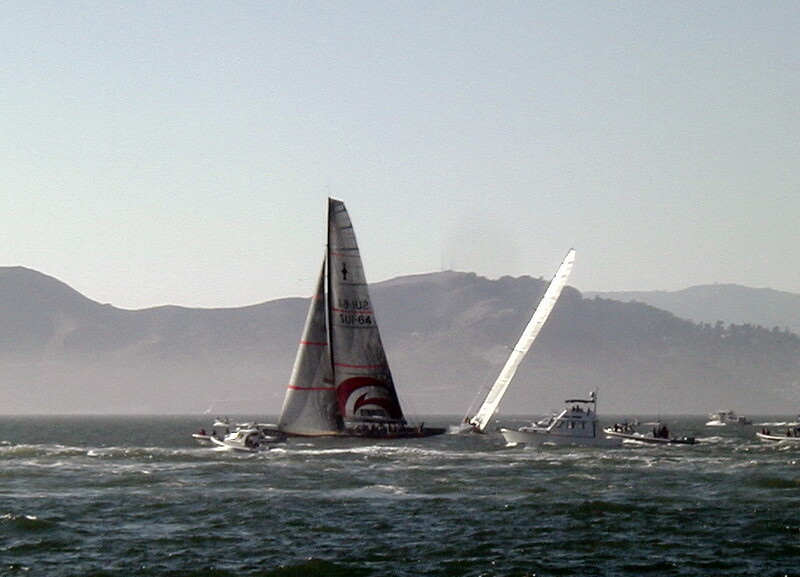 Watching the race we also saw the perils of holding a race like this in Bay. 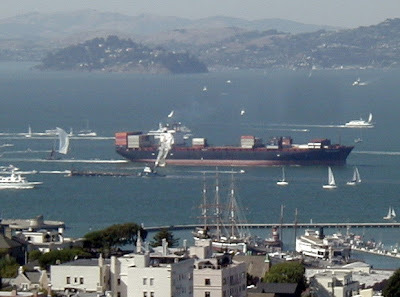 Here the Oracle entry is forced to divert off it's line by a container ship steaming through the middle of the race. 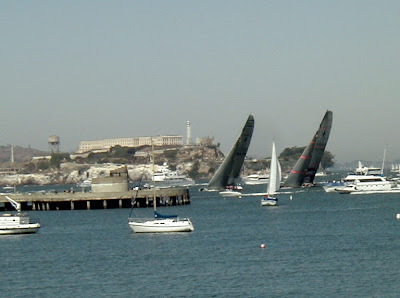 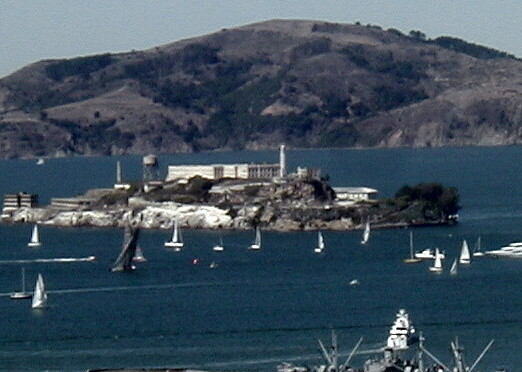 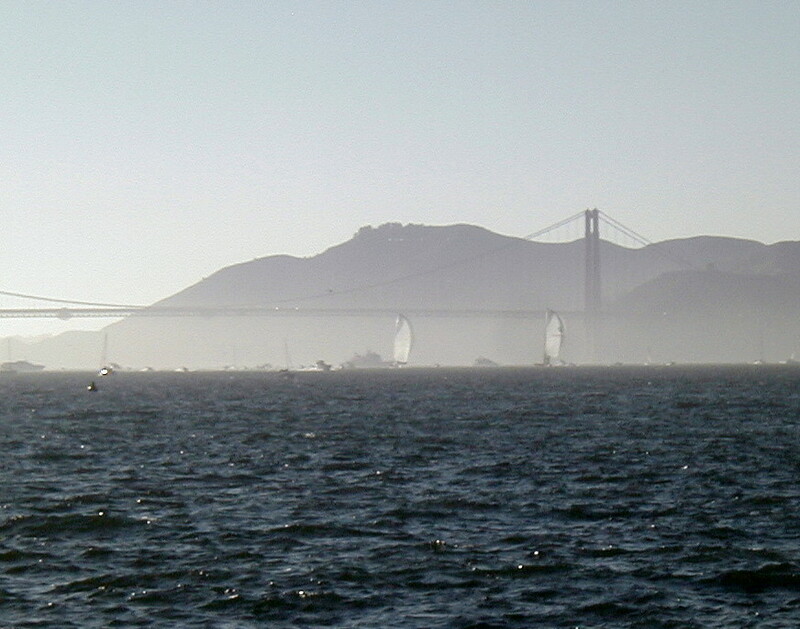 We also watched one of the races from waterfront near Fisherman's Wharf and got another interesting perspective. Better pictures of the race action from Chuck Lantz and from Latitude 38.